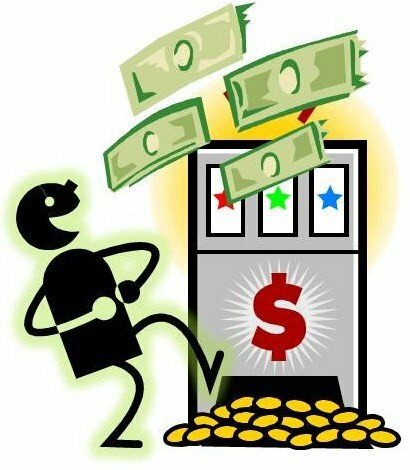 Sell Lottery Payments For A Lump Sum - Why Wait Years For Your Cash? Did you choose to get annuity payments vs a lump sum and now you want to reverse course and sell lottery payments for cash? You had the one-in-a-lifetime luck winning big. Now you want to see a bundle of cash, not just wait out for the periodic payments to arrive over the years. Most lottery winners take the lump sum in lieu of annuity payments over the years. Others choose periodic payment for stability and better management of the lottery winning. It's up to you how you choose to claim your lottery money as long as it's legal in the states. However, sometimes after going for the lump sum, a lottery winner may change her mind and want to sell lottery payments, and there may be good reason to do so. Perhaps you have a great investment in mind and you need a lump sum for it. Or they may be other valid reasons. In any case, I would suggest that you get professional advice up front on how to manage the lump sum, both financially as well as emotionally. I'm telling you this because there are too many horror stories of unlucky lottery winners who lost their money or ended up otherwise unhappy due to lack of guidance in budgeting well and managing their windfall money wisely. This said, if you are ready at this point to sell lottery payments, I may want to buy it from you. Keep in mind, there will be a discount rate meaning that you're getting less in a lump sum for selling your lottery than you would get in the annuity payments over the years. By the way, add your comments here on whether to sell or not sell lottery payments. Reasons to selling my vary. It's not a question why you first set up structured settlement annuities and now you change your mind and decide for a lump sum. Circumstances change. New situations emerge. Perhaps you are considering a great investment, so you want to withdraw part of your lottery payments. The problem with access to your lottery money is that once you set up a structured settlement, you can't change the terms. You can't withdraw more money or different amounts at different times other than originally planned. The structure of the settlement remains constant. However, a way around this is doing what is common also with other types of structured settlements and future payment streams: you can sell your lottery payments rights to another party in exchange for receiving a cash lump sum. This isn't always as straight forward. Depending on where the lottery has been won, there may be legal problems with selling your lottery payments. In some states, selling lottery payments is not allowed. That has to do with the state where the drawing takes place; it isn't dependent on the state where you live. This means that even if your state of residence allows for selling lottery payments, you may still be banned from doing so if the winning has occurred in a state where payment transfers are forbidden. Is It Wise To Sell Lottery Payments for a Lump Sum? Generally, experts agree that the long-term annuity option is far better for lottery winners than taking the winning in a lump sum. This is for a variety of reasons, including money management issues, financial and psychological concerns, as well as tax consequences. However, there may be a time when you need to have a certain amount of money to fund a larger expense. Let's say you want to settle a much-pressing debt, finance an education, or do a high-return investment. The question is: should you sell your lottery payments in such cases? The help of a financial adviser may be needed to help you decide on your financial calculations and concerns. Personally, I would absolutely not suggest that you sell ALL your lottery payments. That could be detrimental to your money. You will again risk squandering your lottery gains. So, basically, the question is whether you should cash out parts of your lottery payments. The quick answer is that it is up to you, if your state allows it, that is. It may make sense to do so for a reasonable cause that is really in your interest. Again, a financial expert may be of help in deciding on it. Does a Lottery Payments Assignment Need Court Approval? It may, or it may not, depending again on the statues of the states. It is a myth what I hear from acquaintances that "selling lottery payments" do not require judicial approval. As I said, it depends. In some jurisdictions this is true. In others, you may need to schedule a court hearing to accept or denial the transfer or your lottery payments. Don't get confused on this. I'm referring here to a court approval process even in states where the sale of lottery payments is allowed by law. What About Taxes on Your Lottery Lump Sum? It is important to distinguish between different types of structured settlements. These differences have implications also on selling the structured settlements. Contrary to personal injury and workers' compensation structured settlements, lottery winnings are taxable. This holds true also for a lump sum. The general rule is that if the structured settlement is taxable, so is the lumpsum. Because lotteries are non-qualified assignments, the lump sum payouts are not exempt from taxes. There may be additional tax issues valid for a lump sum. Consult a qualified tax expert, preferably one with a specialty in structured settlements and in lottery winnings, to help sort out applicable tax issues. Price is an important factor when selling lottery payments. You may be receive significantly different offers by various companies. Not yet convinced you're dealing with the friendliest lottery payments buyer on earth? Call now, so you'll find out. No obligation, of course. Sell Lottery Payments, Or Not? What's your take? Are you a Lottery Winner or relative? Your input matters even more. Let us know what you think. Don't forget to include nice photos, of course!